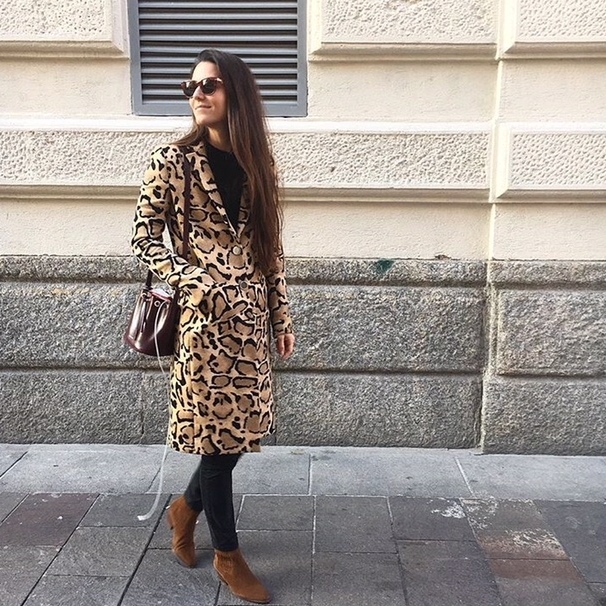 Meet the sweet and Elegant Giulia Torelli, founder of Italian fashion blog rock 'n' fiocc. giulia talked to us about her life in Milan, blogging and what it takes to dress like a true italian. we love her posts and her Quirky take on fashion. Did you always know you wanted to get into Fashion blogging? Not at all! It all started by chance, I was reading other girls' blogs back in 2009 and I thought " I have a lot to say about fashion, I'll open one too". You are a digital strategist by day- what do you make of the digital world especially the future of it? The digital world is growing so fast and I think there are two possibilities for the future: people will get tired of it, (it's already starting, people are cancelling themselves from social media and refusing to share their lives with an audience) but at the same time there will be new ways of communicating and sharing. I think we will go into the direction of one social that has it all: videos, pictures, chats, online shopping. China is already going there. Why the name Rock and Fiocc? It's a stupid word pun, when I started my presence on social media I had a page on an old platform called Fotolog and I called it like that because I like rock'n'roll but I like bows ("fiocco" in italiano), so I thought it was a fun name. In my defence, I was only eighteen (!!) when I opened the blog I already had a small audience coming from Fotolog so I kept the name. You live in Milan- which are some of your favourite addresses in the city and where do you go to get inspiration? I love to go to exhibitions whenevere there is a new one in town, I love to go vintage shopping around the city, I go for a coffee at Rotonda della Besana if the weather is nice and I go book shopping at Galleria Carla Sozzani, they have the best selection of photography books and there is always a free exhibition to see. What does Fashion mean to you on a personal level? Fashion is the way I express myself. I hate when people tell me that fashion is stupid because the way you dress up in the morning, even if you think it's not important or you didn't put much thought in it- it's in reality a big statement that you make. Fashion is the sum of everything I like because it's influenced by everything else, it could not exist without movies, art, or music. So the clothes I put on reflect my taste in movies, art, and music and it tells something of the way I see the world, I think. Your first fashion memory that had a major impression on you? I couldn't choose which clothes to wear when I was a child because my mom was very strict about that and I always felt frustrated and not at ease, so when I finally had the chance to choose something, I picked a blue skirt with gold buttons and I felt so good in it, so powerful, that I thougt "oh,so clothes really have a power, they make you feel better". What do you think is the fascination with the way Italians dress? What would you say is the essence of Italian style? Italians dress like nobody else in the world. it's an elegance that we are not ashamed to show and wear, while for example french people love to look understated and english people don't care so much. Italian women love to wear jewels and furs, italian men love their shoes polished and their shirts perfectly pressed. The cuts of our clothes are excellent, the materials are exquisite, we know how to combine colors in a way that is elegant but not boring. It's always a matter of careful choice. Some of your Style Icons? And how would you define your personal style? I love people who wear an uniform: Grace Coddington, Carine Roitfeld, Christiane Arp, Tonni Goodmann. If you look at their pictures they are always dressed basically the same way, because they know what suits them and they stick to it. I can't define my personal style because I would love to be a minimalistic person but I love kitsch so much. I love simple outfits with a quirky touch, usually something pink, or a bow. I'm almost always in black with a striped t-shirt. Words of wisdom for anyone wanting to pursue Fashion blogging? Where can one creep on you and your lifestyle? Finally if you could sum up your life in one item of clothing, what would it be and why? A bow barrette! I think it's practical, elegant and fun just like me!